Long before Tanner Boser ever set foot in an MMA gym or became a champion, he began training in Shito-Ryu Karate at the age of 11, receiving his black belt after eight years of instruction. A native of Bonnyville, a town in the Canadian province of Alberta, Boser became a fan of the UFC (and former UFC champion Lyoto Machida) during his High School years. 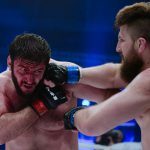 So after taking in a live KOTC fight card in the neighbouring town of Cold Lake, and seeing the brutal nature of in-cage competition first hand, he was convinced that with his background in Shito-Ryu he was ready to fight professionally. Spoiler alert: he wasn’t at all, but that wouldn’t stop the man now known as “The Bulldozer” from competing in the violent world of cage fighting. His dogged determination would ultimately prevail. 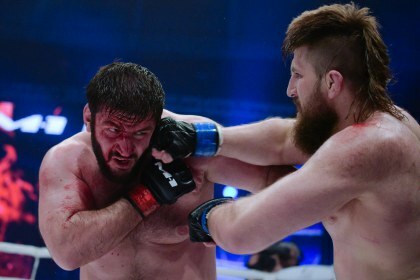 Lack of experience be damned, Boser earned a three-round TKO victory over Mike Cobey in his pro debut with the Unified MMA promotion in October 2012 on the Unified MMA 13 card. A rather remarkable win because at that point in his life, the burgeoning heavyweight — while driving a truck for Bonnyville Water Conditioning during the day — was not training at an MMA facility, unless of course, you consider occasionally working out with a couple of buddies at the local gym owned by his mother. After his first ever win, Boser, who now laughingly refers to himself an idiot for the cavalier attitude in his early days, began to take his training much more seriously and hooked up with local practitioner Jake Sansom, a brown belt in Brazilian Jiu-Jitsu, to learn some of the finer points of grappling. But before long he was off to St. Albert to train at the Hayabusa Training Centre under Luke Harris. Presently, the 15-5 veteran, owner of seven knockouts and two submissions, puts his work in at two Edmonton locations: Shaved Bears MMA under the tutelage of Jeff Montemurro. And Frank Lee’s Muay Thai under Keijiro Noda. In less than two year’s time after turning pro, Boser jumped out of the gates quickly and won his first five bouts. 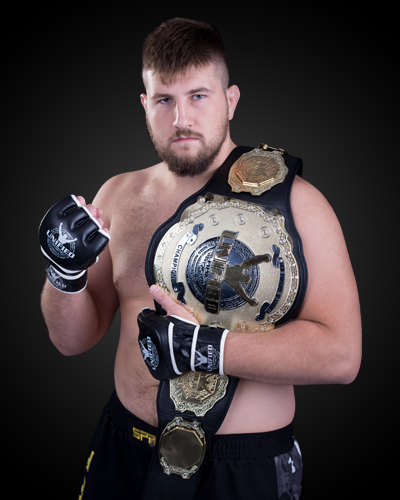 His rapid ascension led him to his first ever title shot where he knocked out Jordan Tracey to capture the Unified MMA heavyweight title. A knockout loss to Tim Hague in his very next fight ended his first title reign, but he reclaimed the strap just three fights later against Tony Lopez. 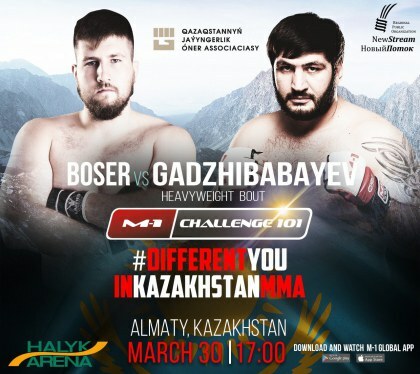 After making an indelible mark on the Canadian scene, Boser began a six-fight run in the Russian promotion ACB in March 2017, posting a respectable 3-3 record before signing a multi-fight deal with M-1 Global, one of Russia’s top MMA promotions. 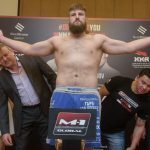 He’ll be sure to make some serious noise in M-1 Global’s heavyweight division while targeting his third title, and will also be taking select fights in other promotions. From Bonnyville to Russia and all points between, “The Bulldozer” presses forward intent on facing the best heavyweights on the planet. One hand the blade, the other the ripper, looking to carve out a path to greatness.